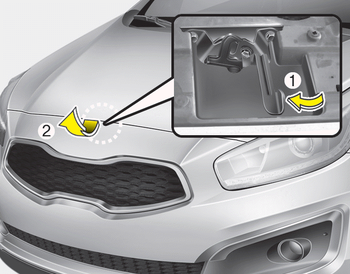 Kia Cee'd - Opening the hood - Hood. 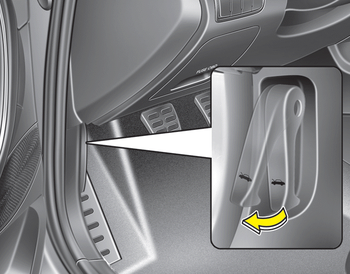 Open the hood after turning off the engine on a flat surface, shifting the shift lever to the P(Park) position for automatic transaxle and to the 1(First) gear or R(Reverse) for manual transaxle, and setting the parking brake. 2. 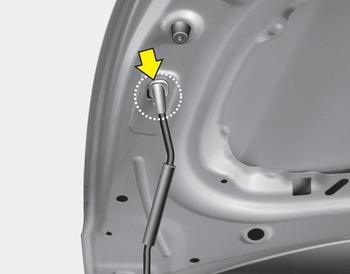 Go to the front of the vehicle, raise the hood slightly, push safety lever inside of the hood center and lift the hood. 3. Pull out the support rod. 4. Hold the hood opened with the support rod. Be very careful not to touch the support rod when the engine and parts are hot.You could get burned or get seriously injured.